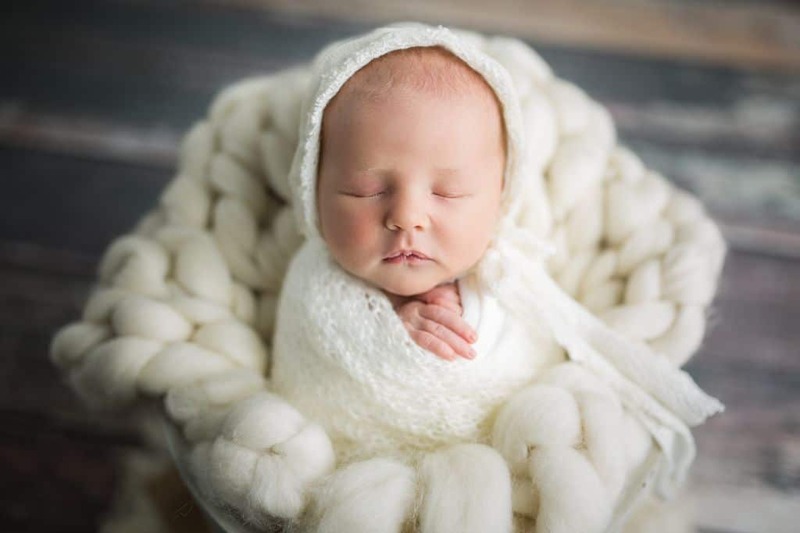 Newborn Photography in Albury Wodonga - Natural. Calm. Delicate. 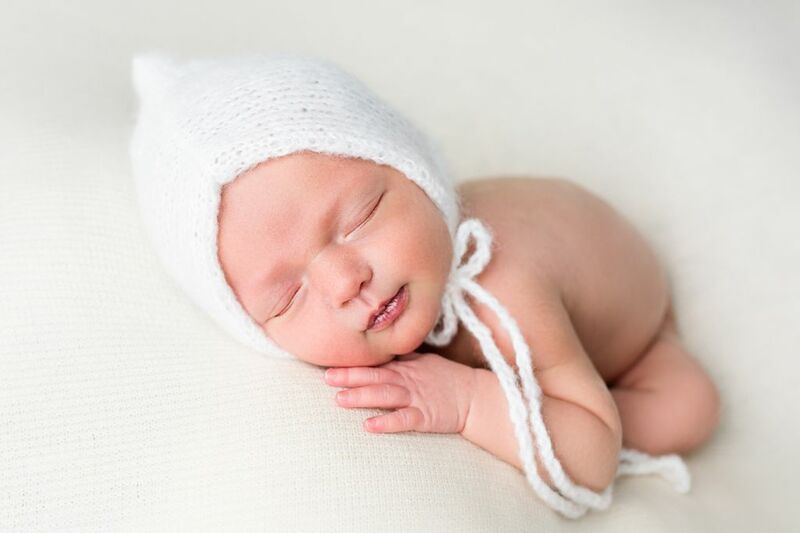 We love to shoot newborn photography in our Wodonga studio. 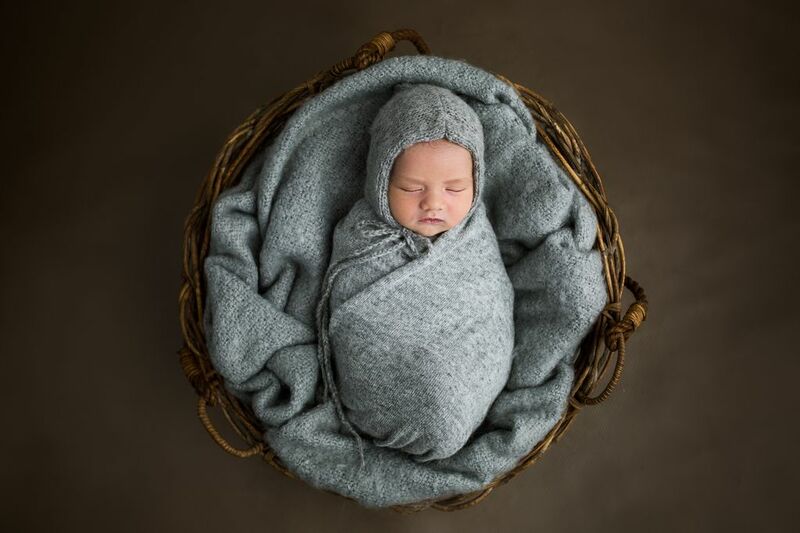 It has been designed to be quiet, warm and calming to achieve the most relaxed and natural newborn photography. After booking, we will meet with you to chat about the photography session. We help you pick out colours and props, explain our process and give you all the info you need to help your newborn be comfortable and happy on the day. As you can imagine, it’s a very unpredictable shoot to plan. Some newborns sleep through the whole thing and we only need an hour or so. Generally we like to allow up to 4 hours for a session. Here at Full Circle Photography we don’t believe in setting limits. We will take as many as your newborn allows. They like to tell us when they’ve had enough! Yes, very! 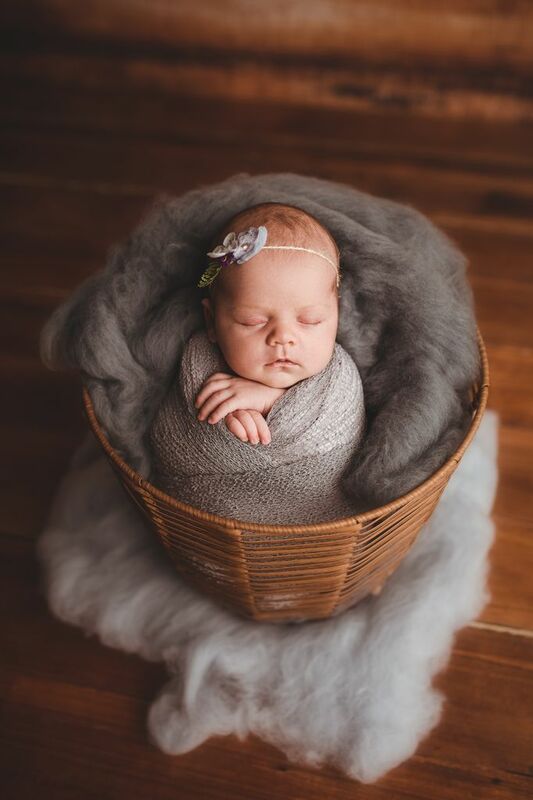 We like to shoot a variety of setups with your newborn. This involves a lot of wrapping and unwrapping so we need to make sure our studio is nice and warm for them. It’s a good idea to wear cool clothes when you come in for your shoot. What if my newborn won't settle? Sometimes babies are more fussy and need more time to settle and feed to be happy for their poses. We never rush our sessions and follow your baby’s lead. Sometimes we need a lot of patience to get a variety of setups but it’s always worth it in the end. What if my baby arrives early or late? 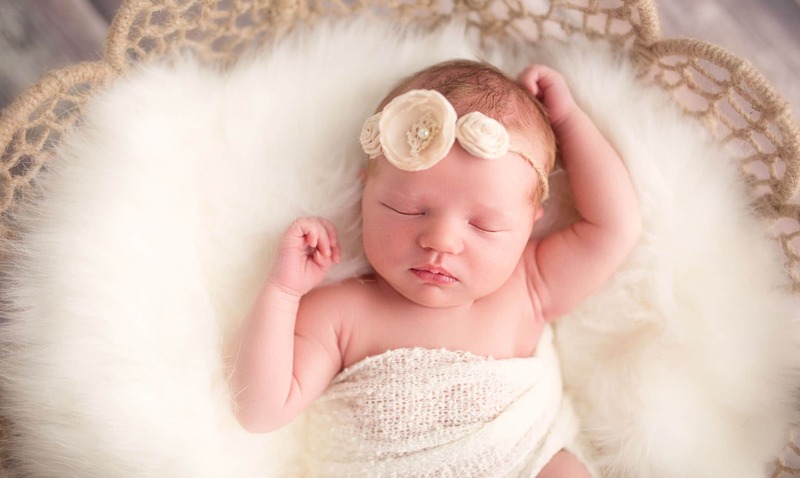 When we book you for a newborn photography session, we pencil you in for a time roughly a week after your due date. All you need to do is keep us updated with any changes and let us know when your baby arrives. We’ll then book you in for a set day and time preferably within the first 2 weeks. 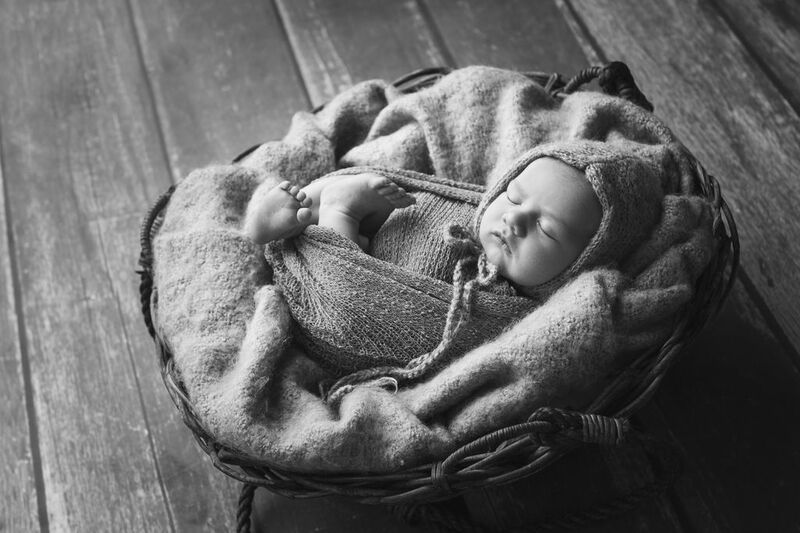 As newborns have such an erratic sleep schedule, we can be flexible with shoot times and even hold shoots at night. We want a particular pose. Can you do it? Yes and no.. We are willing to try but only if baby is happy. Every newborn is different and we take the lead from them. Some are only happy being wrapped up tight and others like to spread. We never force your newborn into a pose they’re not happy with. Can I bring sentimental props? We love to use your own props in our newborn photography, it adds a nice personal touch. Just keep in mind that small props work best. Do I get to choose colours and props? Before your baby arrives, we invite you to meet us in our studio to see our props. We have a nice selection of colours and textures to choose from. If you’re not bothered, we will pick them out for you and double check with you on the day. Can we include photos of our other children? Yes, we can include siblings and also parents in a couple of shots. Just let us know beforehand so we can factor it into our session planning. If you would like more time spent on this part of the session then perhaps booking a family photography session would be a good idea. How long until we get the photos? We aim to deliver your final gallery and USB within 3 weeks of your shoot. Or for a faster response, please get in touch on Facebook. Professional photography studio in Albury-Wodonga. We offer family photography, newborns, maternity, wedding photography, engagement shoots, real estate, corporate, products, promotional photography and everything in between. ©2018 Full Circle Photography -Albury Wodonga. All Rights Reserved.